Vant Batteries offer an excellent value by providing factory direct pricing and quality that meets or exceeds that of other major battery manufacturers. Vant Batteries go through strict testing and quality control procedures in order to provide extremely accurate mAh, Voltage, and C ratings. Don't let their low cost fool you, these batteries outperform major manufacturers batteries!! ;WARRANTY: Vant Batteries are warranted to be free from defects upon delivery to the customer. They are warranted against failure for a period of 6 Months from the date of purchase. Misuse, abuse, or neglect by customer is not covered in this warranty. After the 6 Month warranty period, the Lifetime Replacement Plan takes effect. Under the Lifetime Replacement Plan, you can send in your battery to receive a replacement for 50% off the RETAIL price of the battery. 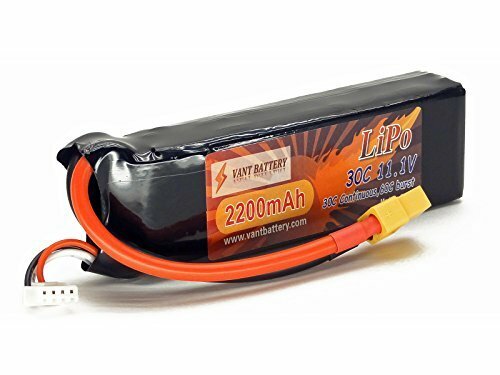 ;This is an OEM replacement battery that will fit many aircrafts such as the DJI Phantom and Blade Helis and Quadcopters. If you have any questions about this product by Vant Battery, contact us by completing and submitting the form below. If you are looking for a specif part number, please include it with your message.